Just being a child and wonder about the world around you through moving, feeling, smelling, dancing, drawing and if you don’t want anything… that’s also fine. This is the focus during kid’s yoga classes. Insecurities float away like a balloon, being as strong as a bear, flexible like a cat, or steady like a tree. Everything happens playfully and with attention and respect for each other. No performance and no competition. Also, relaxation exercises are offered where the child's imagination is stimulated, this makes them relaxed and calm. The most important thing is to be yourself and to have fun. 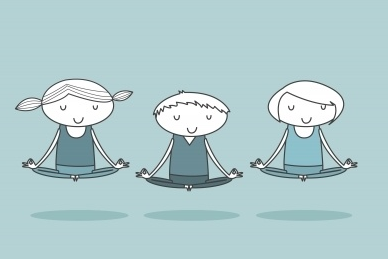 Kids yoga promotes concentration and self-confidence, it calms the mind, retains flexibility and stimulates the senses, incredible valuable for kids and being a kid!